Photo Courtesy of FCPS SRTS. FABB’s next monthly meeting will be on September 19, 2018, from 7:30 pm to 9:00 pm at the Thomas Jefferson Library at 7415 Arlington Boulevard in Falls Church. Our focus will be on bicycling-related developments in the Mason District with a Fairfax County Department of Transportation on recent projects in and future plans for the district. In addition, the meeting will feature discussions on bicycling encouragement and education. 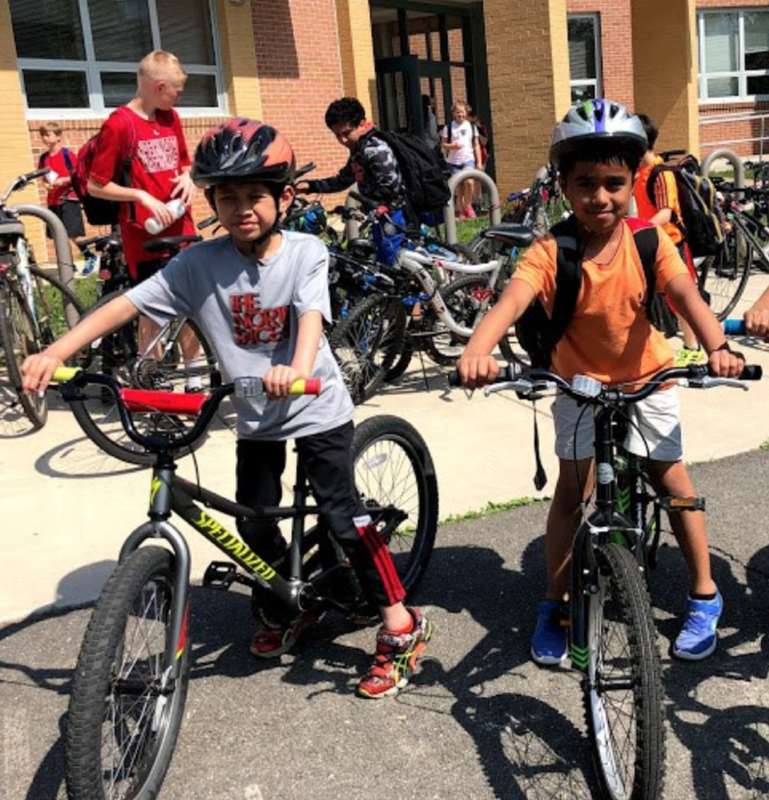 Sally Smallwood, the Fairfax County Public School’s Safe Routes to School Coordinator, will give a presentation on efforts to improve the health and well being of our children by helping them become more active. FABB’s own Katie Kelly will talk about teaching beginning riders and the rewards of being an instructor. Please plan on joining us.